Since I read mostly books by indie authors, I'm still coming across covers (and websites) that just break my heart. 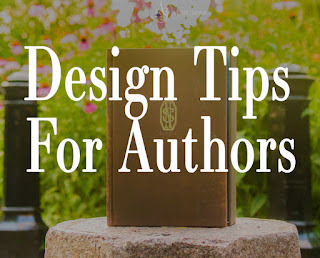 In the post What Makes a Good Book Cover, I talked about cover design. 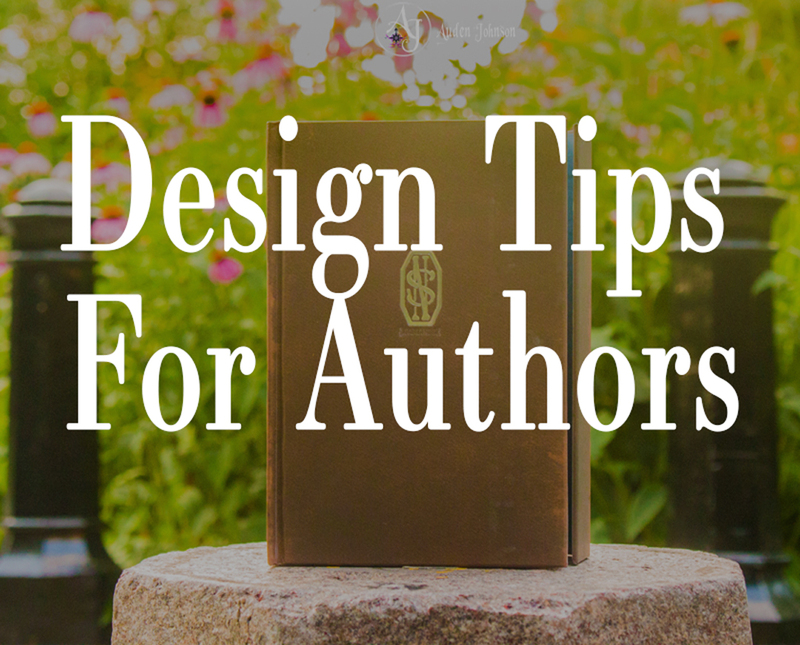 Unless you have the funds to keep hiring a designer or you know someone, you'll probably need to design more than a book cover. As a self-published author, you may even be creating promotional images and your website. I'm working with a small press publisher and even I do those things. "But just because a novel falls within a literary genre doesn’t mean it has to look generic. There is room for newness within sci-fi and fantasy covers..."
Don't think your fantasy book cover needs to have the "staples" like swords, dragons or sweeping landscapes. Your sci-fi book doesn't need to have a spaceship on the cover. "According to survey results from The Book Smugglers, 79 percent of people say that a book cover plays a role in their decision to buy a book." I'll forgive, mostly, a bad cover if I like the author. I don't even click on a book by an author I'm not familiar with if I don't like the cover. "Customers make judgments about marketing before they’ve even had a chance to process what it’s trying to convey." In summary, people see the design before the read the content. I'm guilty of this. When scrolling through my Twitter feed, I ignored all the badly designed promo images. I don't even read the tweet. For social media, most people see the image first then they read the content. "Design is vital, because if your website isn’t legible or easy enough to navigate, your reader will not visit again!" I still come across author blogs with white text on a black background. Just looking at the page hurts my eyes. I don't even try reading it. "Infographics are one of the most powerful tools to build your author brand." I started designing infographics from scratch. Recently, I discovered stock photos sites like Shutterstock have infographic templates. They'll make life so much easier. "For marketers who work in the social media sphere, editing and resizing photos to fit various profile picture and banner photo parameters is a necessary skill." This isn't just for social media. A couple of months ago, Google Analytics told me this blog wasn't doing well on the screen resolution of 1366x768. I was sizing my images too small. Since I started sizing them at 1080px, I haven't gotten that notification. Your pretty design will fall flat if users can't see it properly. "Nearly 85% of customers state color as the vital reason that they purchase a particular product. 93% look at visual appearance when they buy a product and color improves comprehension, learning and readability." I use Adobe Color CC to make sure the colors in my design work. You don't need a subscription to Adobe to use it.